Our post-industrialised global economy has achieved spectacular success and pushed back poverty to an extent previously thought impossible. This success is ultimately based on the continued supply of both renewable and non-renewable resources. Will this supply of primary commodities remain sufficient to support global economic growth? Why are the gains for countries specialising on commodity production often so limited? Can commodity dependent countries diversify into other economic activities? 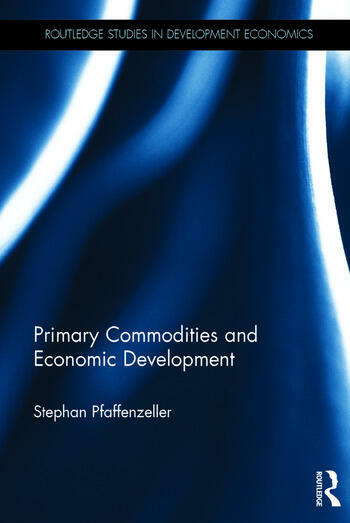 Primary Commodities and Economic Development addresses the changing position of primary commodities in the world economy and investigates their importance for commodity exporting under-developed countries. The book commences with a review of the theoretical foundations for inter-dependence between commodity specialisation and economic underdevelopment. Having related the role of commodity exports and the commodity terms of trade to growth models relevant to developing economies, the discussion shifts to an in-depth review of the statistical properties of the commodity terms of trade. The review of commodity price trends at the global level is then rounded off with a series of country case studies showing the concrete threats and opportunities surrounding commodity specialization. This book will be of essential reading for those with an interest in development economics and international economics, as well as for scholars of natural resource and agricultural economics. 5 Conclusion: commodity dependence in developing countries - economic destiny or minor complication? Stephan Pfaffenzeller is a lecturer in economics at the University of Liverpool, UK.. He has extensive research experience in the area of resource and development economics and has published on this subject in a number of peer-reviewed journals and book contributions.